Alysia Mann Carey is a doctoral student at the University of Chicago. Born in Madison, WI, she earned a BA in Spanish languages and literature, Latin American, Caribbean and Iberian Studies, and political science at the University of Wisconsin-Madison, where she was also a Ronald E. McNair Scholar and a PEOPLE Program scholar. She then received an MA in Latin American studies at the University of Texas at Austin with a certificate in women and gender’s studies. Her fields of interests include comparative politics and political theory, with an emphasis on transnational feminism, African diaspora, race and politics, black feminist theory, contentious politics, and gender violence. Her research deals with understanding the ways in which state and interpersonal forms of violence intersect in Black/Afro descendant women’s lives in Brazil, Dominican Republic, and Colombia, and how women in these communities are leading movements against anti-black violence. 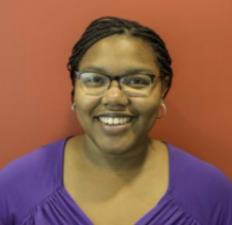 Alysia is fluent in Spanish, and proficient in Portuguese and Haitian Kreyòl, and conversational in Swahili. She has received the Foreign Language and Area Studies fellowship for three years, to study Haitian Kreyòl and Portuguese, and the Tinker Field Research Grant to conduct fieldwork in Brazil. She has recently been awarded the SSRC-DPDF fellowship and will be conducting pre-dissertation fieldwork in Colombia this summer.